Collaboration time! 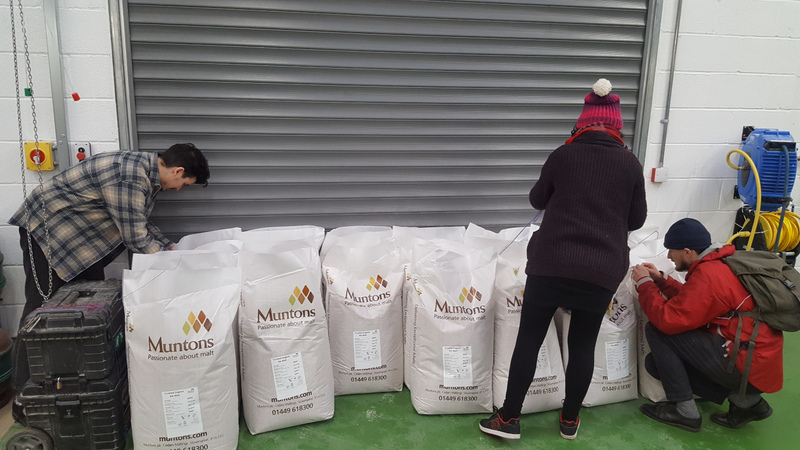 On a snowy morning late in January we headed up the A46 to the beautiful Gloucestershire valleys to brew a special collaboration with one of our favourite beersmiths, Stroud Brewery. We first met brewer Rich at our local the Drapers Arms when it was Stroud’s turn to put a beer into the pub’s wooden cask. Rich came down for the evening and Sam, Bob and I (Kelly) plonked ourselves at his table and commandeered him for the evening drinking lots of delicious Schwartzwalder (you can read his account of it here). 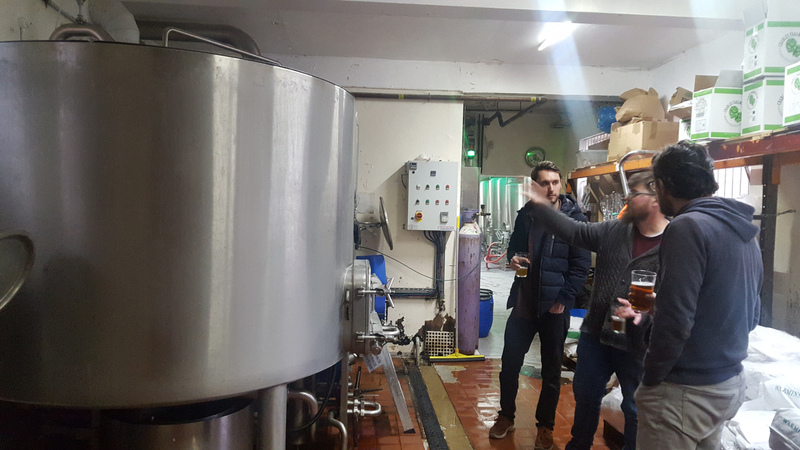 Before we opened our own brewery tap, Bob, Dan (our taproom manager last summer) and I took a trip up to the Stroud brewery tap to get some inspiration. The community ethos, inclusive vibe and great beer at their bar (as well as the pizza oven!) was all really appealing to us, and it was great to also get a tour of the brewery from Rich. After that Rich was a regular at our brewery tap events through the summer, and we hung out with brewster Chloe and saleswoman Harriet at the CAMRA Great British Beer Festival in London in August too. We agree with one of our favourite people in beer, Vince from Ashley Down Brewery/the Drapers Arms, when he says “Stroud can’t brew a bad beer”, and we’ll always drink it when we see it on in Bristol. 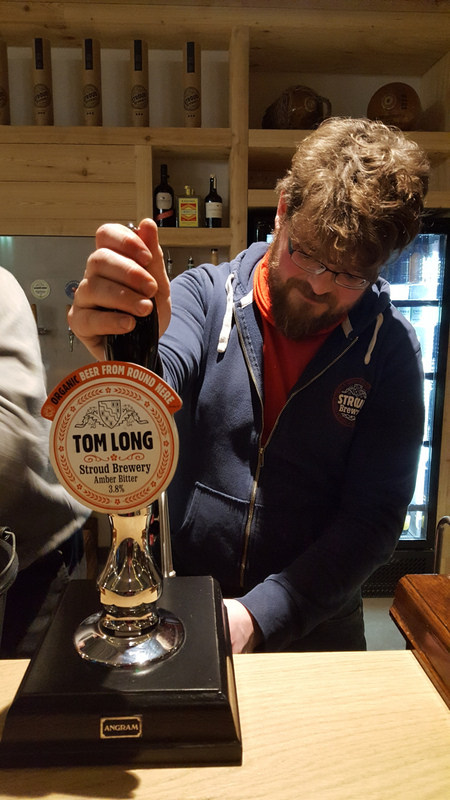 Bob and Sam are particular fans of Tom Long and Budding (Stroud’s original brew, named after the Stroud-born inventor of the lawnmower, fact-fans!). 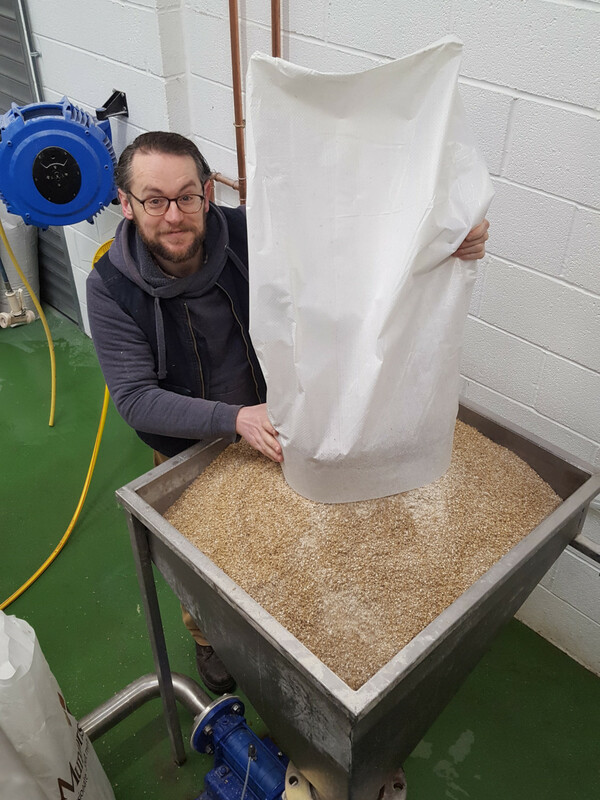 Started way back in 2006 on a 5bbl kit (GCB are 10bbl and Stroud are now 20bbl), Stroud Brewery are old-timers compared to many of the breweries we now know and love. 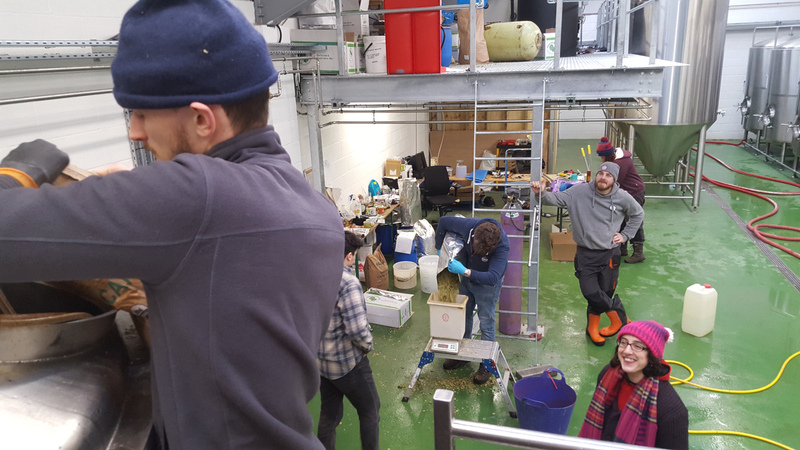 At the very end of last year they moved just across the road from their original location to a brand new purpose-built building beside the Stroudwater canal, complete with new fermenters, more offices and three event spaces including their brewery tap bar (the pizza kitchen has come too!). 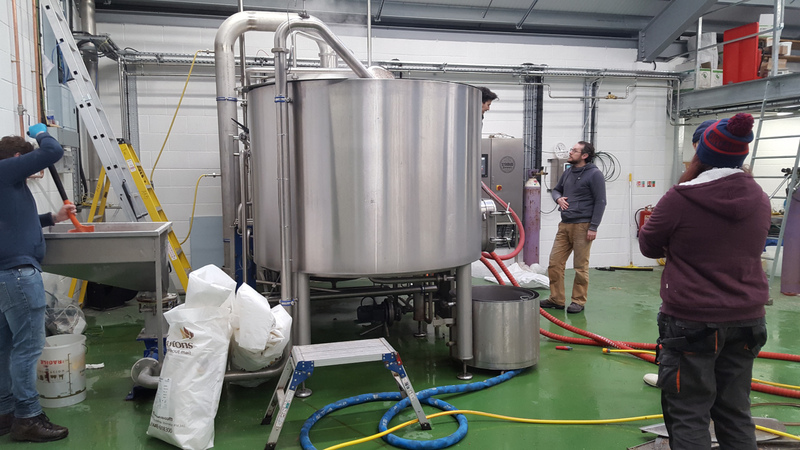 The community-minded ethos that the brewery has always fostered is still very much evident in the new place, with the bar attracting a wide range of people from across the town and beyond, many of whom are known to the brewery staff. We were really excited to get together with Rich and Chloe and brew up something special. After a lot of discussion over pints in Bristol and on whatsapp, we’ve come up with DUBBEL BOND. 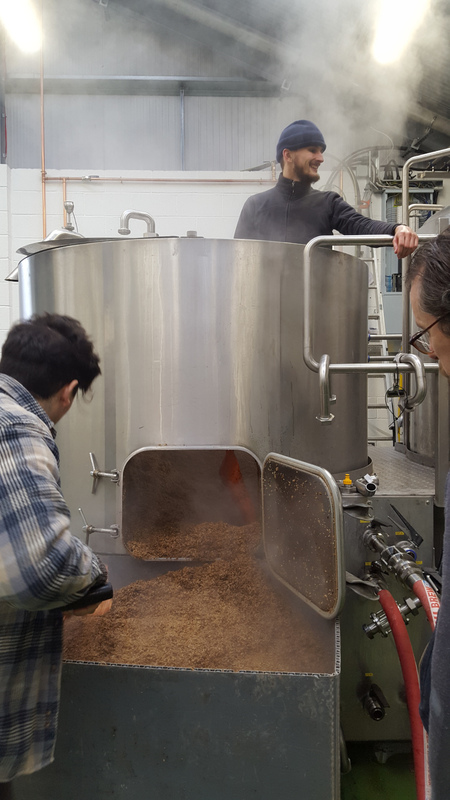 This Belgian-style Dubbel uses organic malt and is hopped with fresh 2018 organic Saaz and Goldings, to adhere to Stroud’s original ambition to produce the highest quality beers sustainably with care for people and planet. 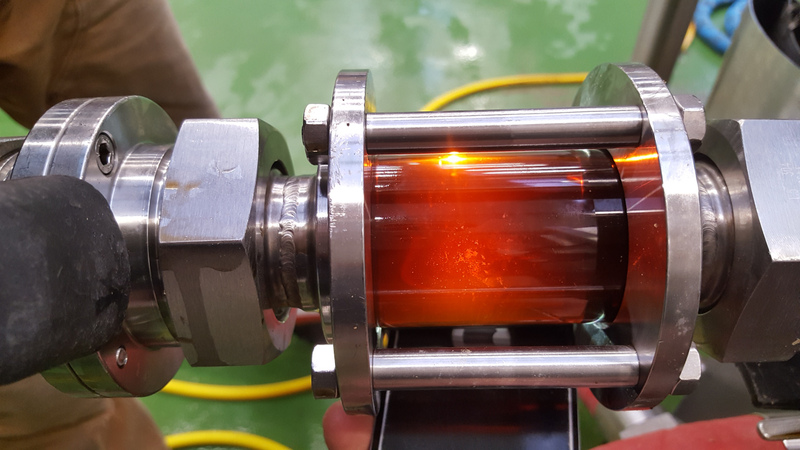 It will be a dark, ruby coloured beer, full of sweet biscuity flavours and with a crisp moreish finish. The name is of course a play on the style of beer, the science nod to Good Chemistry and brewing in general, and the collaborative nature of two breweries coming together to make something great! 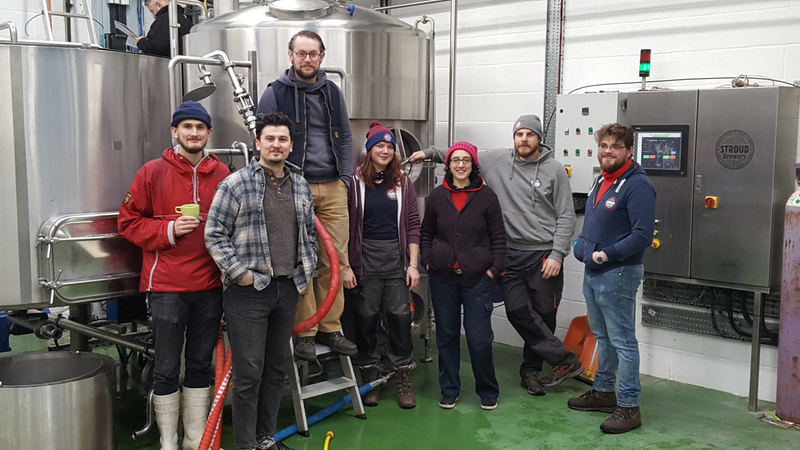 The beer will debut at the Three Crowns in Chippenham at their Women In Brewing weekend, where Chloe from Stroud and Kelly from Good Chemistry are hosting a tutored beer tasting with a selection of both breweries’ beers including the collaboration. 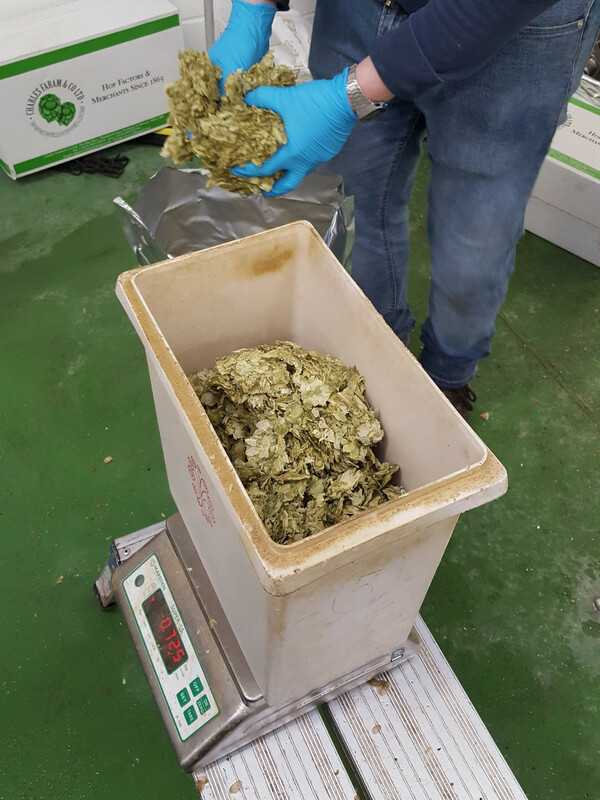 It will then be on the bar at the Stroud taproom for their press launch the following week, before our own Bristol event at our new pub, The Good Measure in Redland, on Thursday 28th February. We’re putting on a joint tap takeover with beers from both GCB and Stroud, and brewer Rich will be with us for a guided tasting and chats about all things beer and brewing! Details are over on our events page and on fcbk. The beer will then be out and about across Bristol and beyond, keep an eye on social media for where. 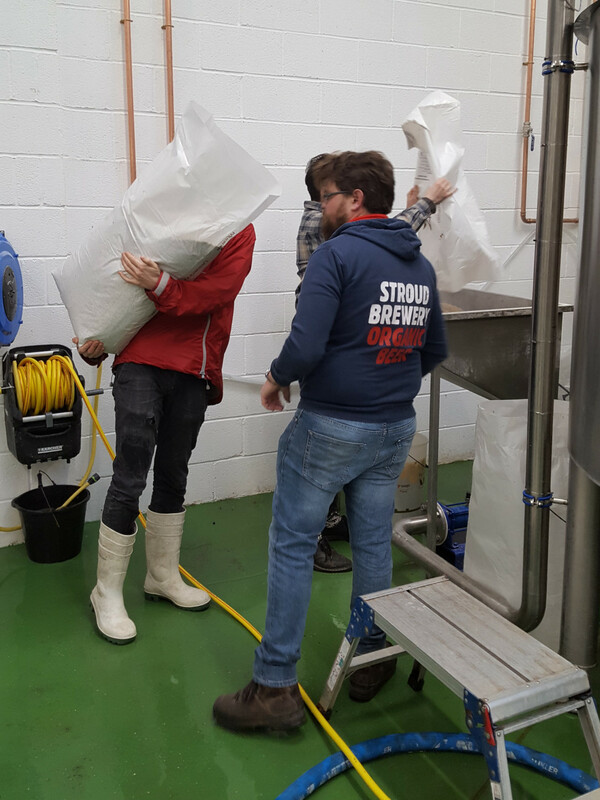 And we look forward to hosting the Stroud brewers at GCHQ for a reciprocal brewday in due course – cheers!